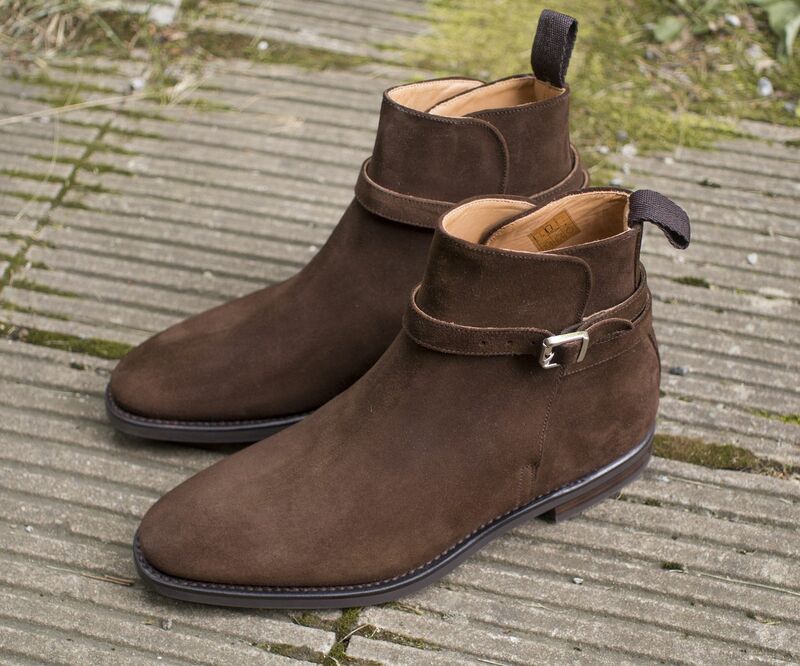 For a long time I've been thinking about getting a pair of jodhpur boots, and during this summer I finally decided to get a pair. The boots in question are the Ernest model from Septième Largeur, made on the 198 last. Here are some first thoughts and tasty pictures. I actually got the pair already in July, but haven't got around to take any pictures of them before today. Now the colder weather is starting to be just around the corner up here in the north so I guess it's time to start the fall season from my part. So, why this pair? 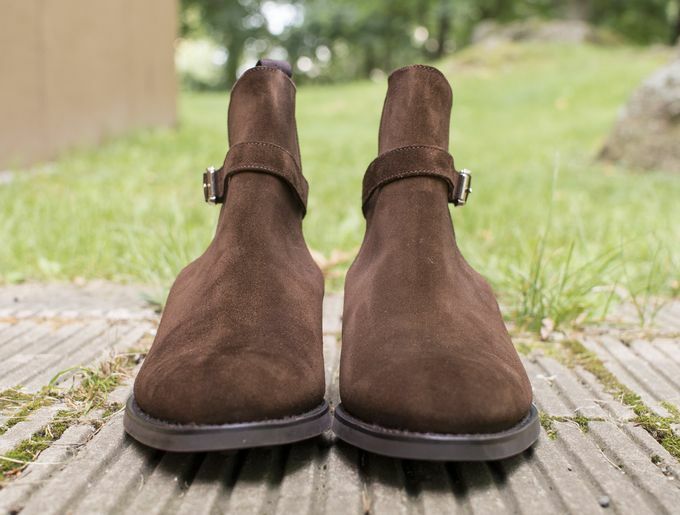 I have long been a fan of sleek jodhpur boots, and the 198 last from Septième Largeur is pretty perfect for a boot like this. Combine it with the rich brown suede and a good looking buckle and you'll have a great fall and winter boot that can be paired with different kind of clothing from wool flannel trousers to dark raw denim. 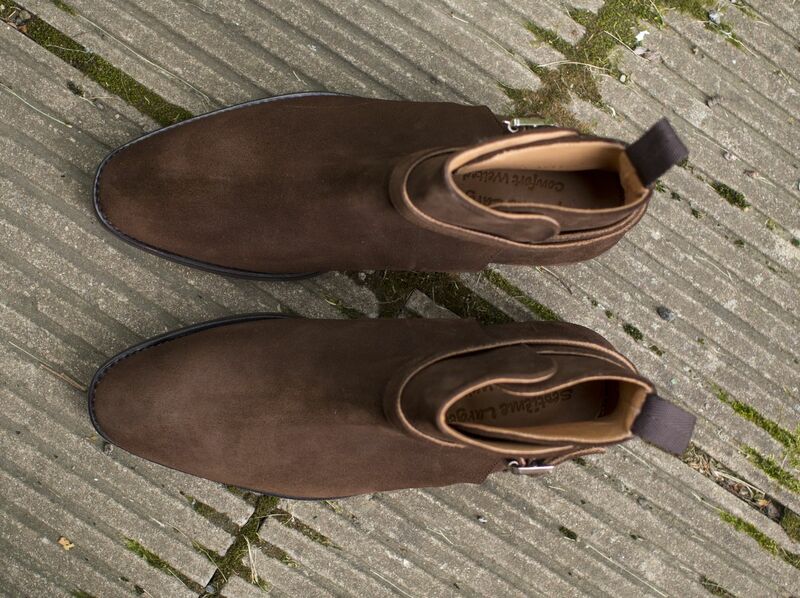 These will also be at home when worn with a suit, no problem at all. 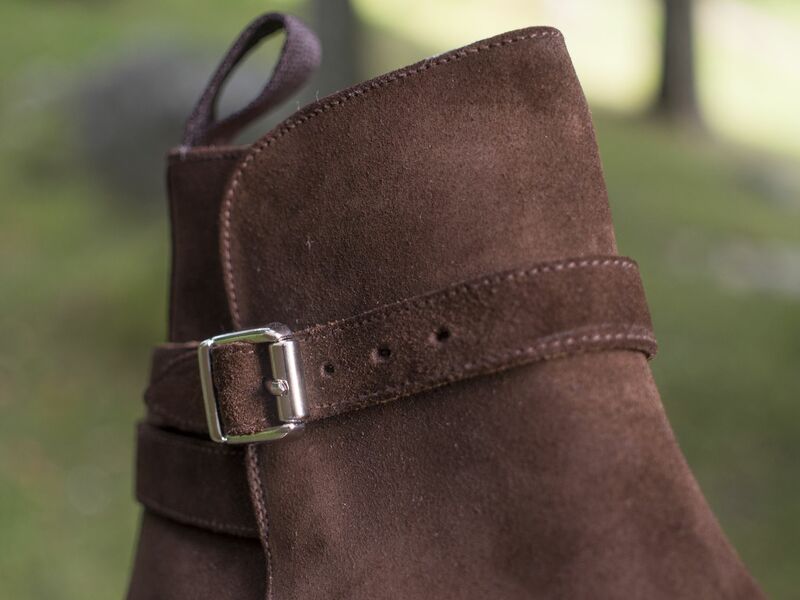 An important detail in a boot like this is the buckle. Septième has gone for a nicely angular silver tone buckle, which in my opinion is the perfect choice for a jodhpur (or, say, double monk shoes). I would personally stay away from any round and brass colored buckles, mostly found on some 1970s vintage Church's boots eBay is full of (no offence though if that's your thing). 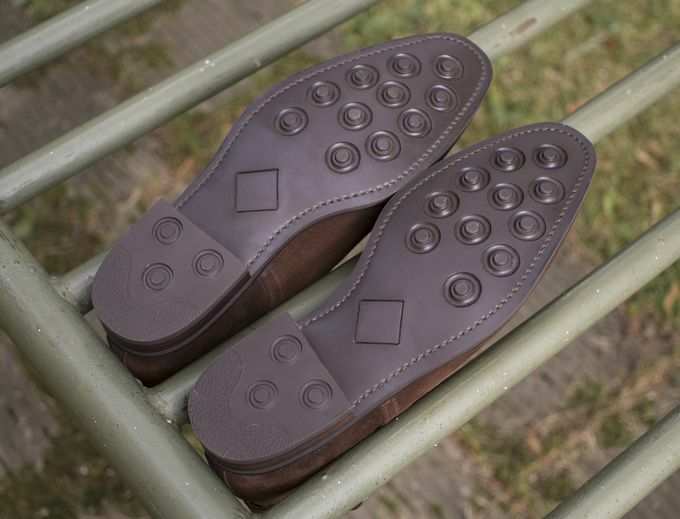 I prefer a Dainite type sole on pretty much all types of shoes apart from summer shoes such as loafers, and so I've opted for the Dainite type soles in this case as well. The dark brown instead of black soles are a wonderful detail in my opinion. I planned to invest in two sets of boots for the upcoming seasons, and this pair will fill the other spot just perfectly. The other pair will most likely be a dark burgundy calf pair of chelsea boots or Meermin's new snuff suede toecap boots, still weighing my options. What about you? What are your winter shoe plans for this year?